New Zealand’s giraffe weevil is not a weevil at all, but a member of another family of beetles known as Brentidae. It is the longest native beetle, at 8.5 centimetres. 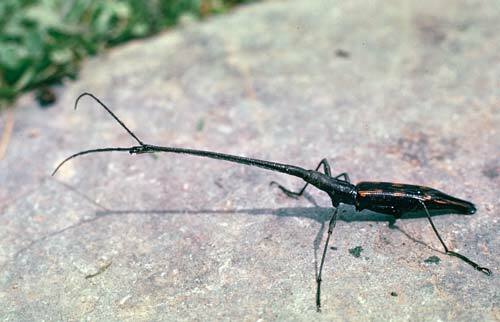 Half the male’s length is its snout, which has a pair of antennae near the tip. Females have their antennae midway.